I have been doing some fact finding about fishing in Bali. 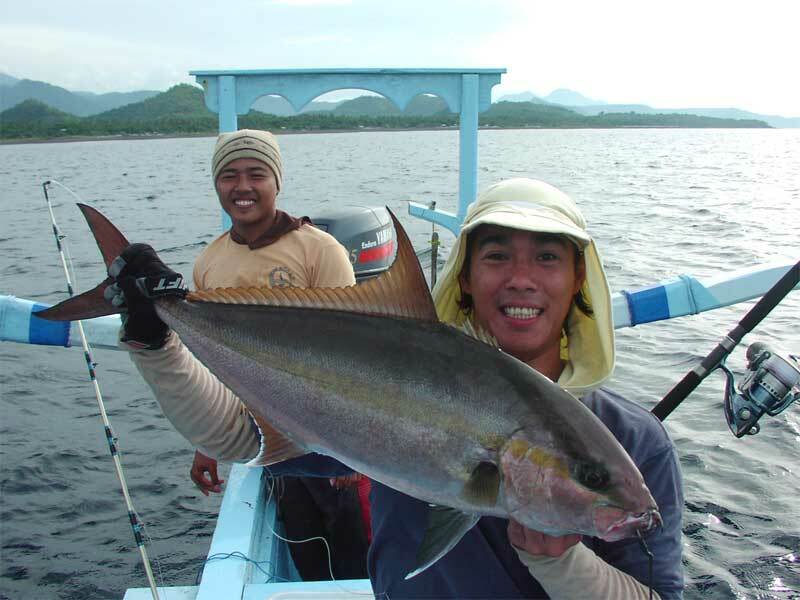 Jigging in Bali can still be very productive. Bali used to be an excellent popping ground too. Nets and traps are not popular with local Balinese fishermen. The local Balinese also refrain from using dynamite and cyanide unlike the fishermen in lombok and in other parts of Indonesia, these chaps stick to fishing with hook and line. Fish stocks around Bali are still pretty good. Drop offs in Bali are also very near the shore, just 100m from shore and the depth can plunge to >200m. 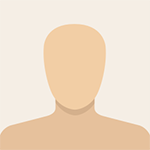 You don't need to travel far to reach good fishing grounds. 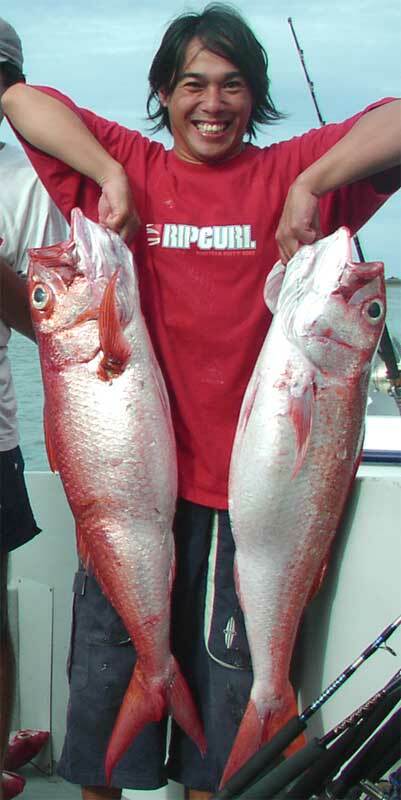 On a recent trip a Ruby snapper nest was encountered just 40 min from the jetty at a depth of about 150m. In about an hour approximately 15 Ruby's up to 18kg were landed. Ruby's were hitting jigs aggressively in daylight. Several small AJs were also landed. 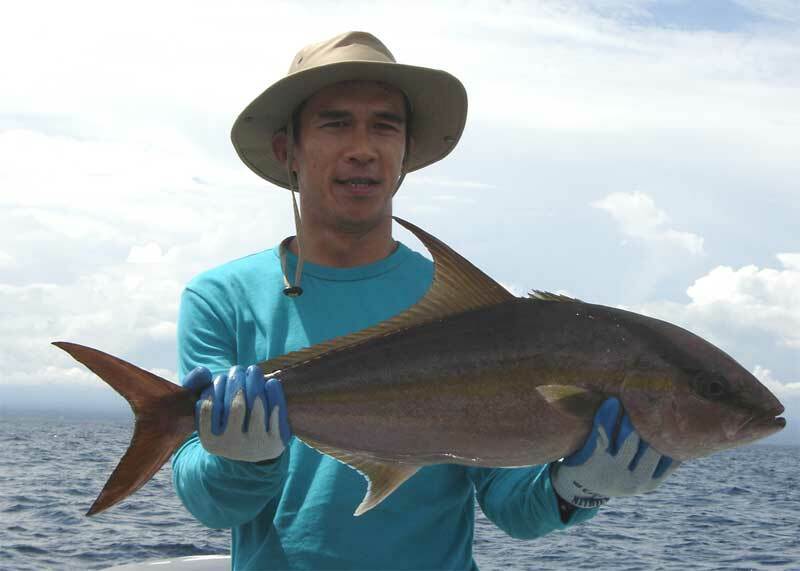 For Bali jigging, Capt Adhek runs a very professional charter and is the best charter for Bali jigging. He does Bali popping trips and now Komodo popping expeditions too. 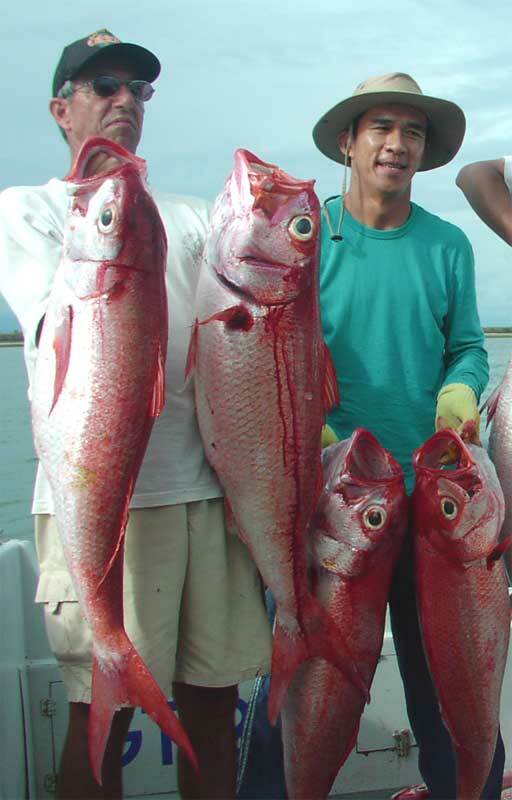 Look out for the next Kingfisher video where Pak Wong and mates get spooled while jigging with Capt Adhek. Adhek says that the culprits were probably YFTs over 100kg that do pass through Bali waters occasionally. There is a tantilizing trailer at the end of the komodo video. Here are some pics of Bali fish.